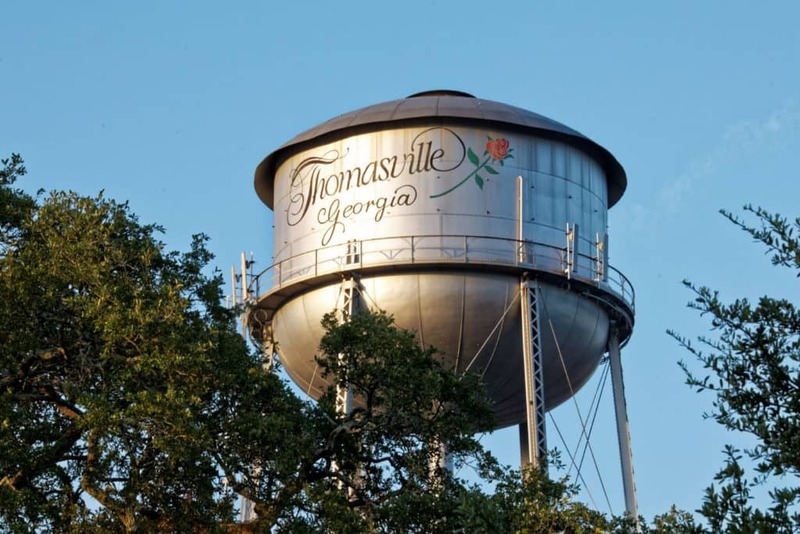 Recently, my husband and I spent the day in Thomasville, Georgia, a small, quaint, southern town in the southernmost part of Georgia near the Florida-Georgia state line. 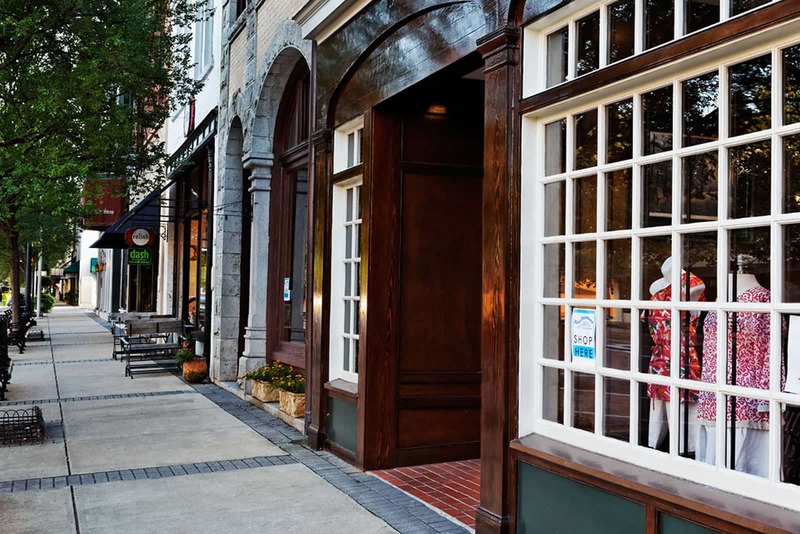 Thomasville has so much character and charm that it is like stepping into a beautiful painting. 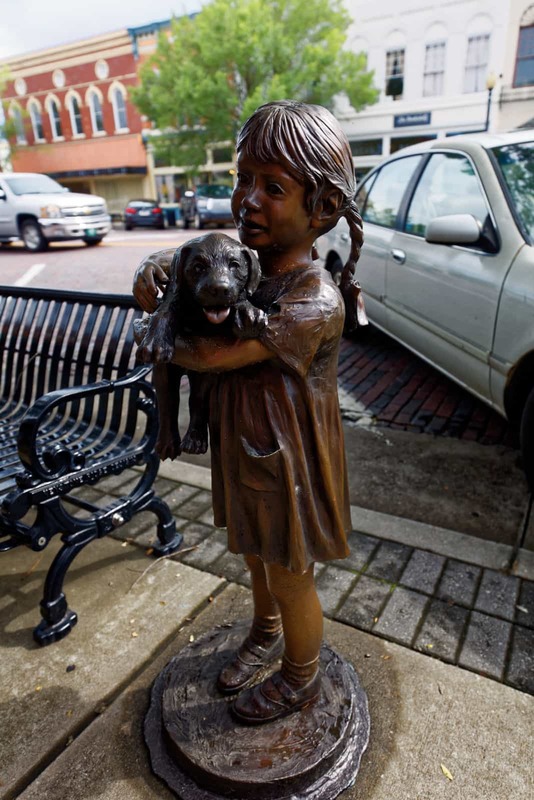 Along with its small town roots, it is also abundant in history. 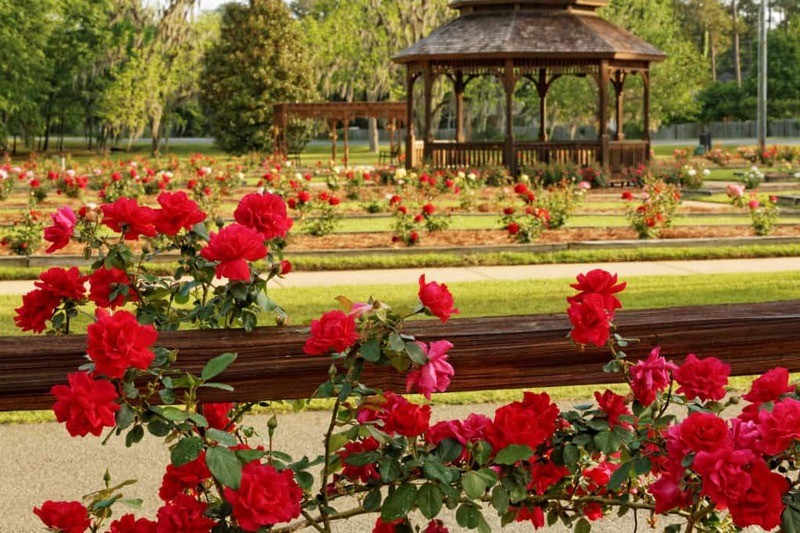 From its museums, churches, and historic homes to an exquisitely kept plantation and rose garden, Thomasville is steeped in beauty and rich with antiquity. Situated on five acres of land and providing astounding beauty and fragrance beyond compare to thousands of visitors a year is the Thomasville Rose Garden which contains over 1,500 rose bushes. 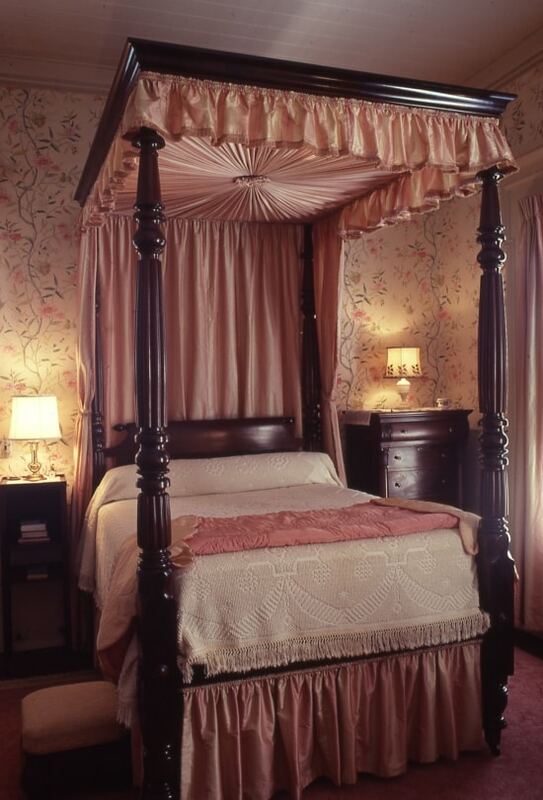 The garden contains four themed beds: Heroes, Holidays, Love & Cherish, and Famous People. In addition to the themed beds, the garden includes two assorted beds and two memorials beds. 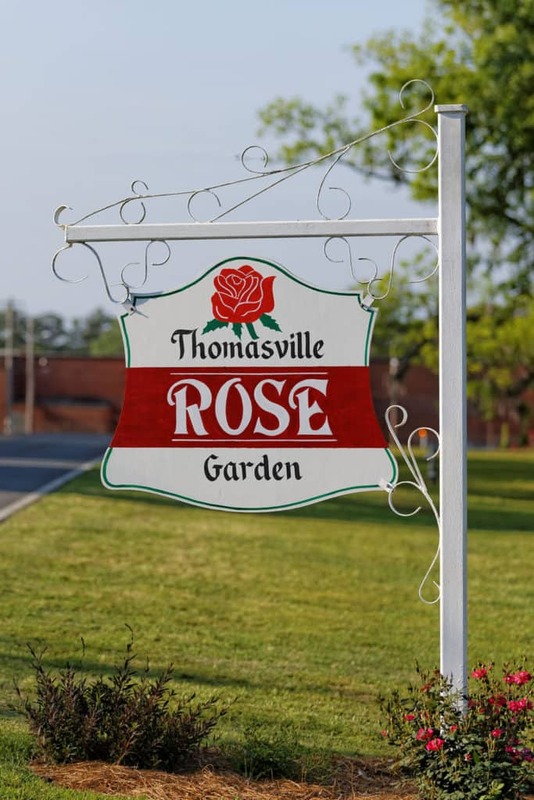 Thomasville is known as the “City of Roses” as it maintains 85 rose beds in additions to the Rose Garden. It celebrates its historical connection to this gorgeous flower with an annual Rose Show and Festival each April. The four themed beds have rose bushes with names that coincide with each theme. Below are some of the rose bushes in each themed bed. Thomasville’s Big Oak Tree is quite a sight! 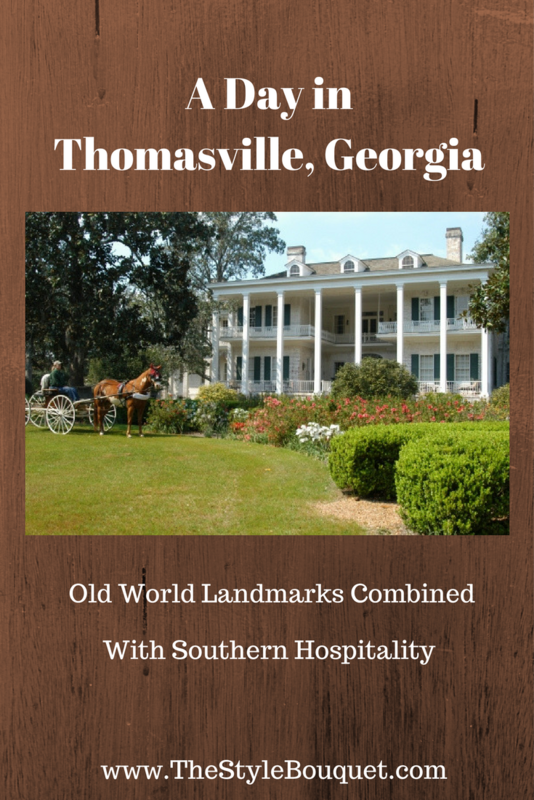 At 331 years old, it still stands tall and proud and attracts all who visit Thomasville. As the sign states, it spreads 162 feet and stands 68 feet high. Its trunk is 24 feet in circumference and is of the Live Oak variety. 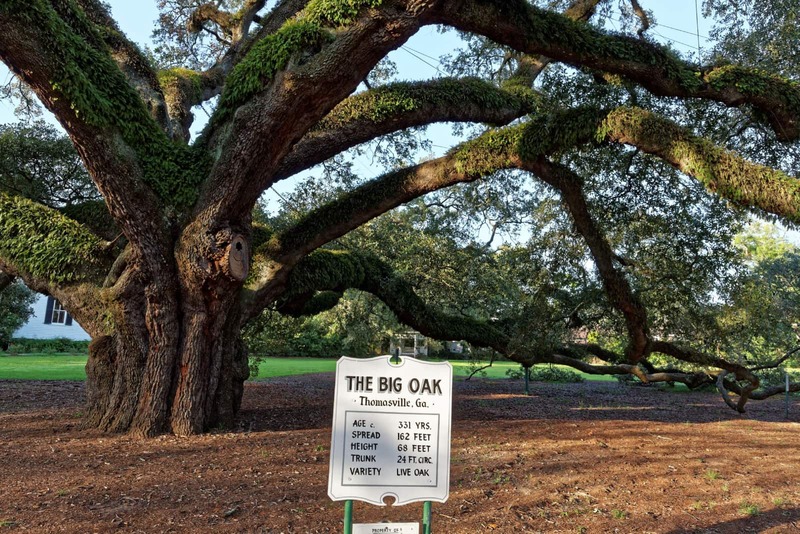 The Big Oak is a beautiful tribute to the longevity of the City of Thomasville and its roots. 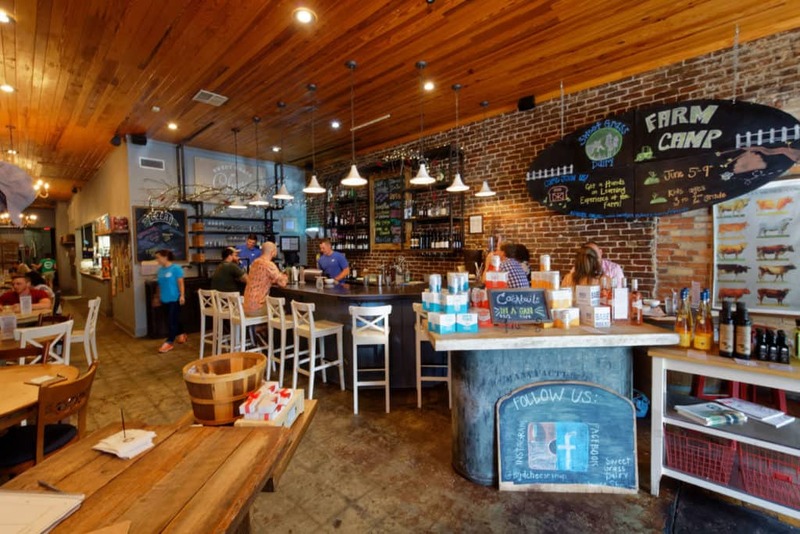 Opened in 2010, the Sweet Grass Cheese Shop is filled with fine handcrafted cheeses, wonderful food and drinks, and southern hospitality. 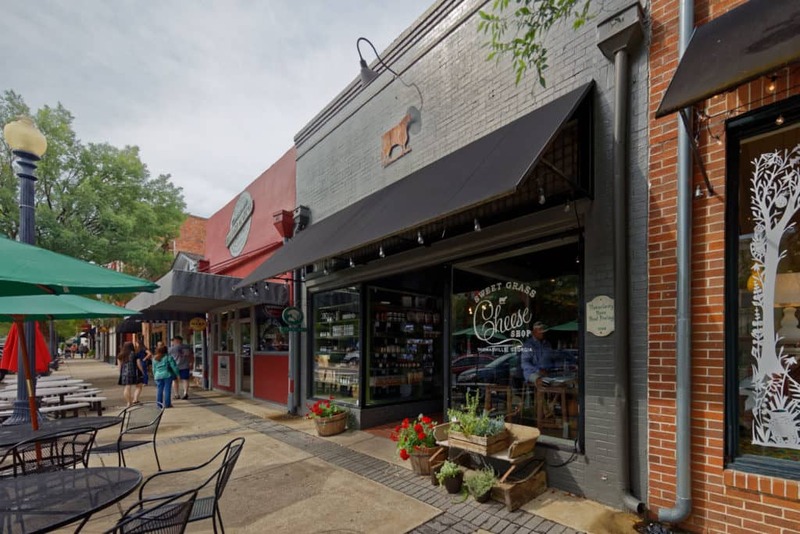 Located in the heart of Thomasville, this Cheese Shop gives its customers the opportunity to sample and purchase its fabulous cheeses on three different cheese board (and optional meat) choices titled “Cheese and Charcuterie”. I have visited this Cheese Shop on several occasions and the cheese is magnificent! 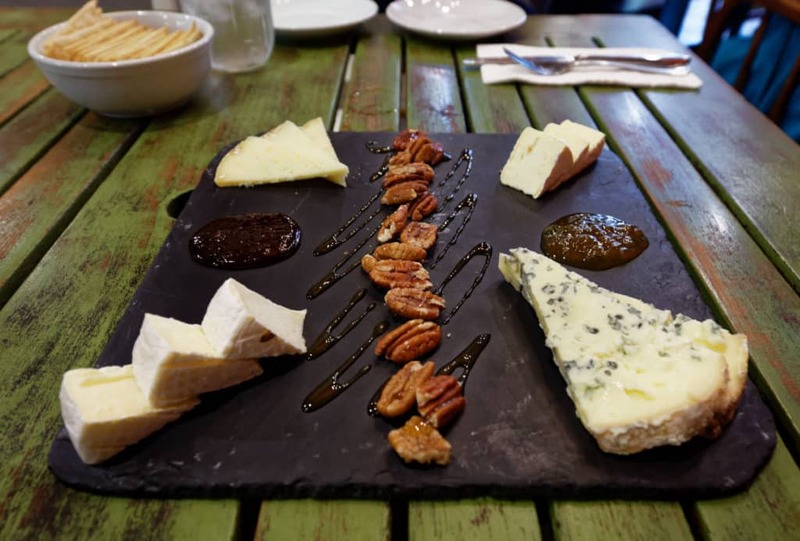 I usually get the “Taste of Thomasville” cheese board and I enjoy it until the very last bite. 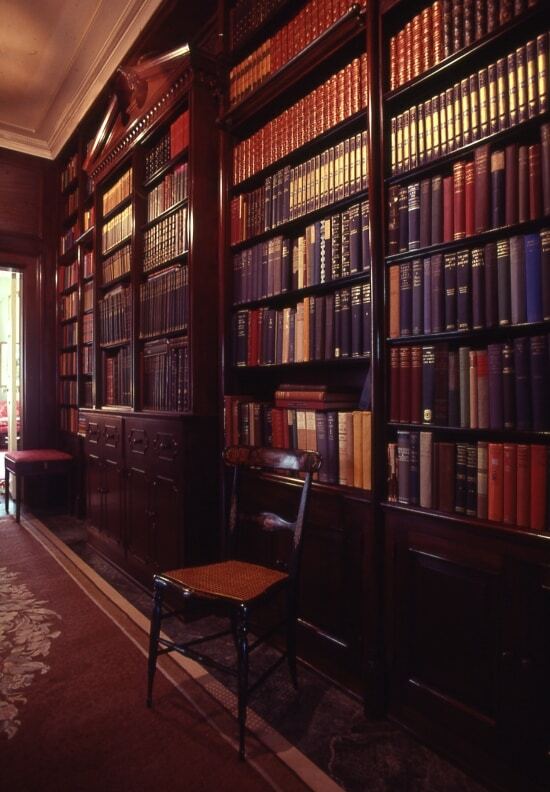 The ambiance is also quite appealing. The staff is very friendly and the whole experience leaves you with a smile. Click here to view the current food menu! Click here to view the current wine menu! 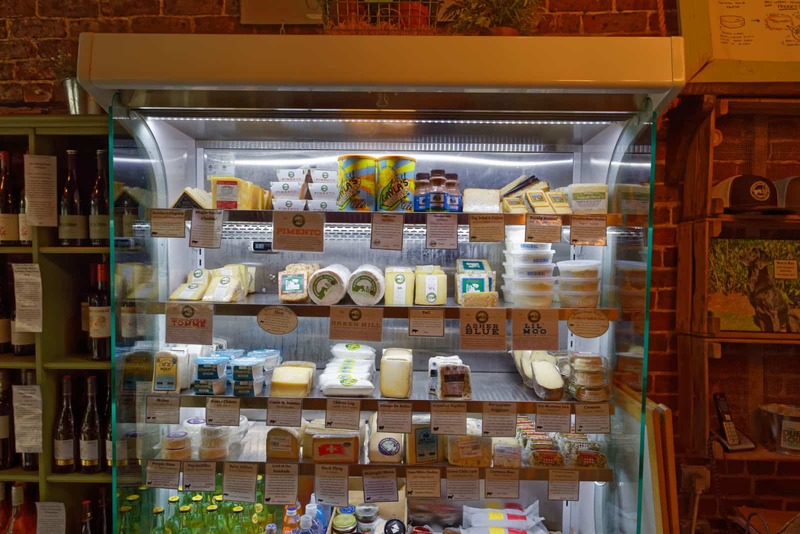 To see the cheeses that the Sweet Grass Cheese Shop offers, click here! Located in Thomasville, Pebble Hill Plantation was established in the 1820s, when Thomas Jefferson Johnson built the first house. 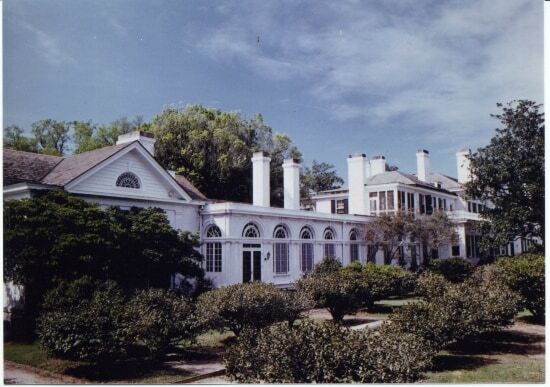 After his death, the plantation was inherited by his daughter, Julia Ann, and her husband, John H. Mitchell. 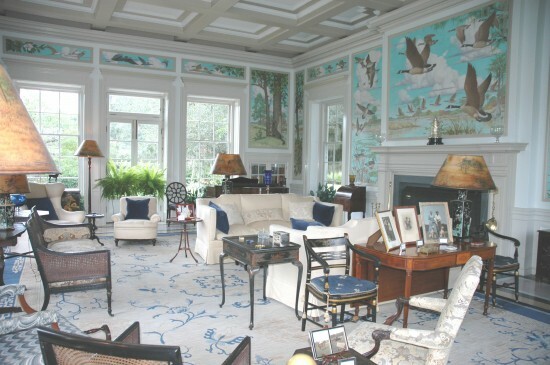 They hired English architect John Wind to design a new mansion. They grew cotton, tobacco and rice. The plantation was purchased by Thomas Melville Hanna in 1896. It was passed on to his daughter Kate in 1901, who turned it into a hunting estate. After the main house burned down in 1934, architect Abram Garfield designed the new mansion, completed in 1936. After Kate’s death, the plantation was inherited by her daughter, Elizabeth “Pansy” Ireland. Through the Pebble Peach Foundation endowed by Pansy Ireland, the plantation is open to the public. Pebble Hill Plantation is a beautiful place to spend the day. The grounds are immaculately kept so a stroll through them is always relaxing and quite beautiful. A tour of the main house is a fun and educational experience! 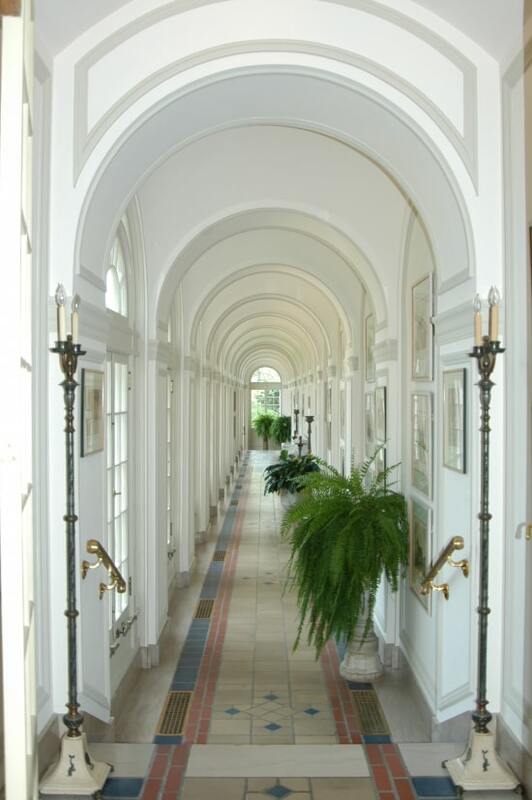 The photos below show only part of the beauty that the main house contains. 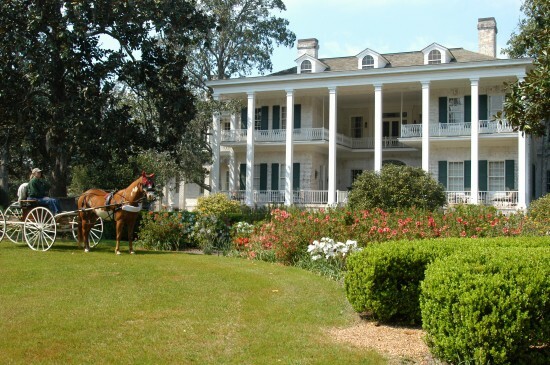 This plantation is rich in history and its beauty is far-reaching. 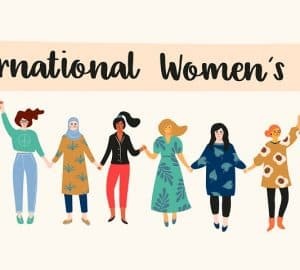 It is definitely worth a visit! 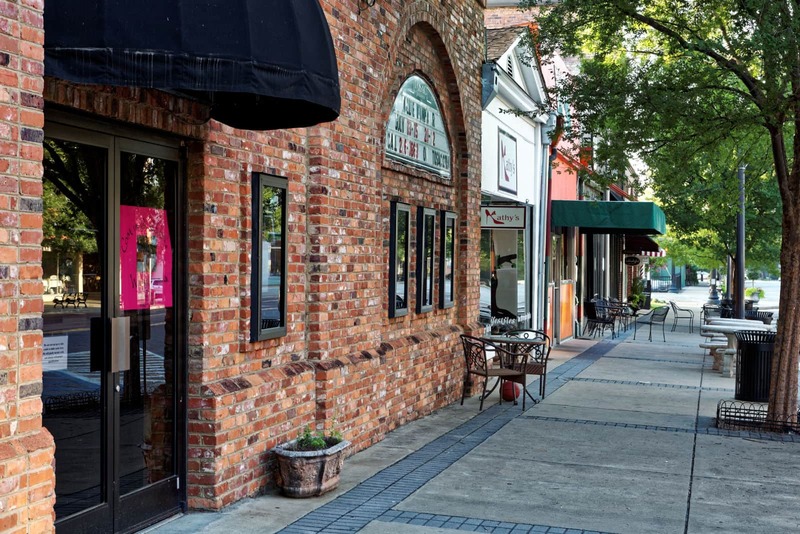 Beautiful, clean sidewalks cover the downtown district of Thomasville which is full of boutiques, restaurants, and antique stores as well as historic homes. It is a friendly place without the hustle and bustle of big city life. 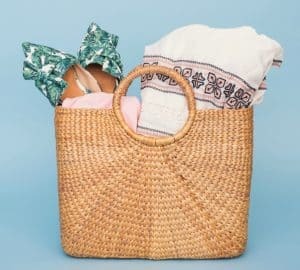 It’s perfect for an afternoon of shopping and lunch. I find the people of Thomasville to be just as pleasant as its landmarks. They are kind, friendly, charming, and very proud of where they live. As well they should! Is this the same place you took me a few years ago when I came for a visit? Good write-up. Looks like you had an amazing time! My husband and I have always wanted to take a trip down to Georgia. Maybe after baby W is born! This looks like a charming little place. Thanks for the virtual tour. So my husband went on a trip with a friend who lives in Atlanta a few years ago and they did a roadtrip and visited The Big Oak. That’s one cool looking tree even though I still have yet to see it in person. So dreamy!! Exactly what I picture when I think of the south. Gorgeous! I’m headed through Thomasville next weekend on my way to Florida, so I’m happy I found your review. I visited when I was a kid, but that was so long ago that I’m pretty sure the oak is the only thing from my visit that’s still standing. lol I still remember it, though! It’s an incredible sight! My mother is from Thomasville, GA. Her grandfather, my great grandfather, was the grounds keeper at Pebble Hill. She has so many fond memories of her time on the plantation. Her grandparents lived there and she would stay with them often. When she was little she got lost in the main house and ended up in the mirrored powdered room. She couldn’t find the door to get out. . Her father, my Grandfather, worked in the stables and hand chiseled the grooved floor so the horses wouldn’t slip. I’ve been there many times. My great grandfather passed away in the living room of his house on the plantation. It has sense been turned into offices but they let us in to look around. Thomasville is so quant and lovely. I’m so glad you got to visit and share your story. Thank you so much for your beautifully written article, kind words & complimentary description of our town, Thomasville, Georgia! I am a “Florida Native” (Tampa) originally…married a Thomasville Native and have lived in Thomasville since 1983. 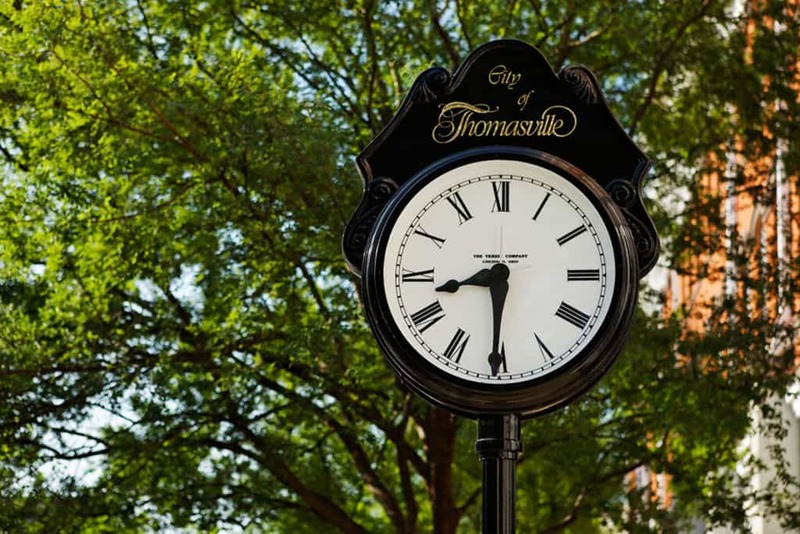 The first time I visited Thomasville, I remember being struck by its beauty & Southern Charm, and warmth & friendliness…So wonderful to know you & your husband had the same experience! Hope you’ll come visit again soon! This little town is SO cute! That rose garden too!